Under its new leadership, the Jani-King of Portland regional office and their local franchisees recently received great exposure while providing cleaning at the recharged Portland Grand Prix from August 30 to September 1. Absent for a decade from Oregon, the Portland Grand Prix made a huge comeback and Jani-King was part of the crew. 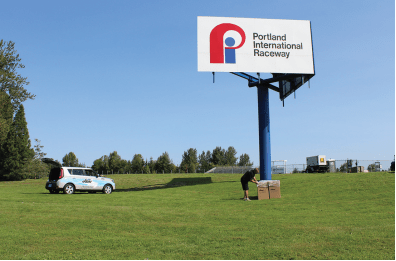 Taking place on the iconic Portland International Raceway road course, the Grand Prix of Portland is the premiere motorsports festival in the Pacific Northwest. The Grand Prix of Portland featured a week-long festival-like atmosphere that included the fastest racing series on the planet, celebrity athletes, live entertainment and interactive activities. Historically, this was Oregon’s largest sporting event. We were excited to deliver cleaning services this year including providing 400 Jani-King branded trash boxes throughout the race grounds. As published by Racer.com, fans of the event were not from Portland alone, they came from Seattle, Vancouver, Eugene, Spokane, Boise, Medford, and Northern and Southern California. 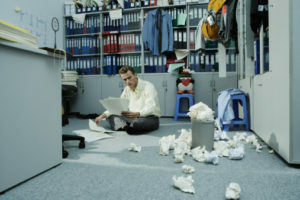 For Jani-King, it’s these types of events that not only provide great opportunities to the local office and locally based franchisees, but they have an enormous impact on business in nearby regions in terms of positive brand exposure and new opportunities. 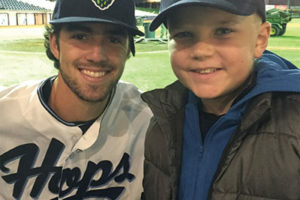 According to Ransdell, Jani-King’s local franchisee who provided the service for the event was Patrick Applewhaite from Eugene/Salem. “Patrick is a new franchisee to us starting in March of 2018 but he is familiar with Jani-King as he previously owned a franchise in Seattle. 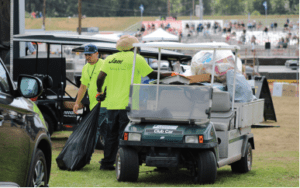 Prior to providing service for the Grand Prix, he had just completed a week of event cleaning at the Clackamas County Fair. For the race, Patrick had to supply workers over the span of 6 days with as many as 35 workers a day for a full 10 hour shift.